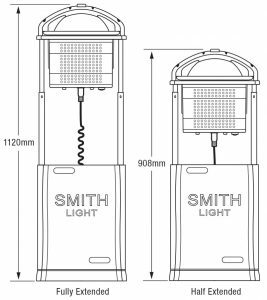 The SmithLight “IN” Series is a heavy duty, fully rechargeable, safe and portable lighting system that can be used in Mining, Utilities, Emergency Services, Rail and Road Maintenance, Construction, Military, Industry and Marine applications. 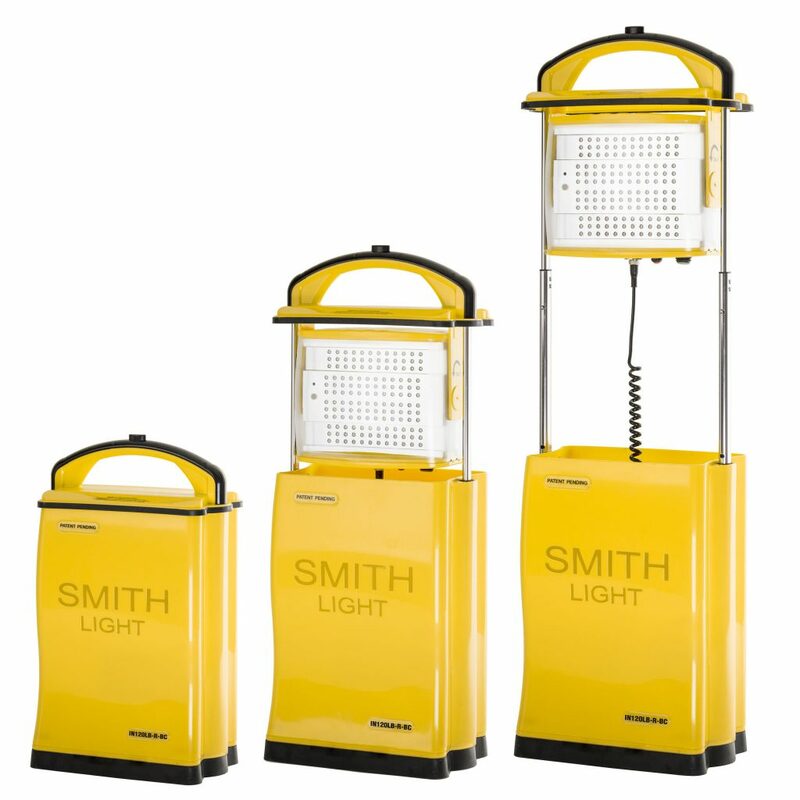 The SmithLight Industrial is available in 3 models with battery run times from 12 to 26 hours (depending on model) and can be easily charged from either 100/110/240V, 50/60Hz AC power supply or 12 / 24 V DC from most vehicles. 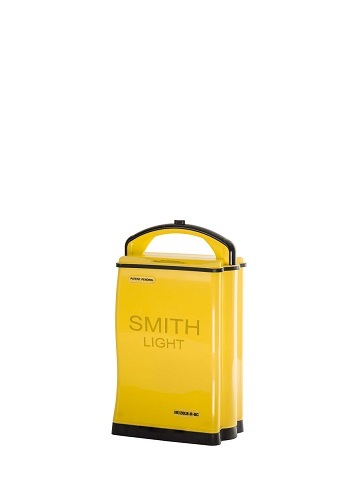 The unique design of these lights makes them as easy to use as an everyday carry case. 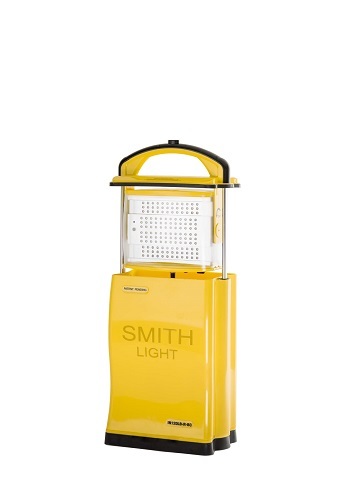 Simply press the locking button on the handle lift the light head and operate. 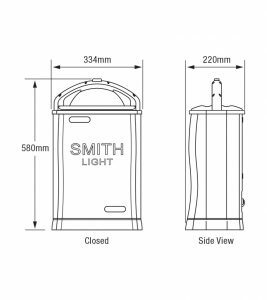 Light head adjustable to 2 height positions. 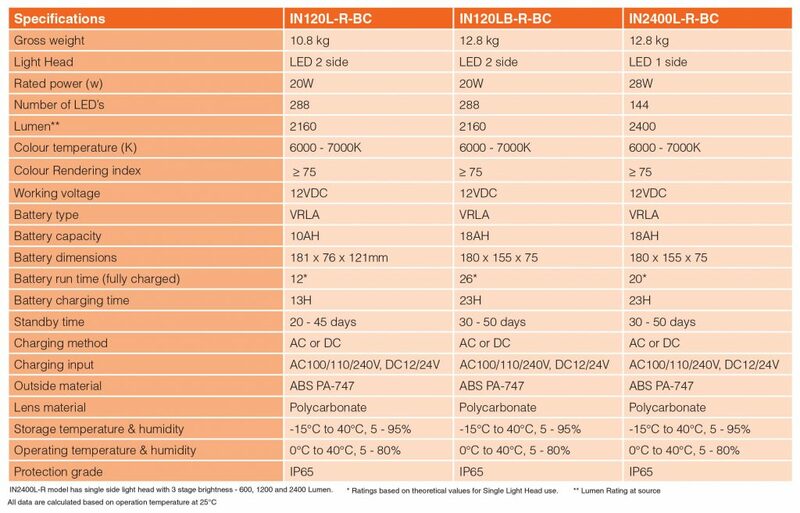 SmithLight Industrial and Emergency Lighting IN series models IN120L-R-BC and IN120LB-R-BC are equipped with an Emergency “ON” Function. 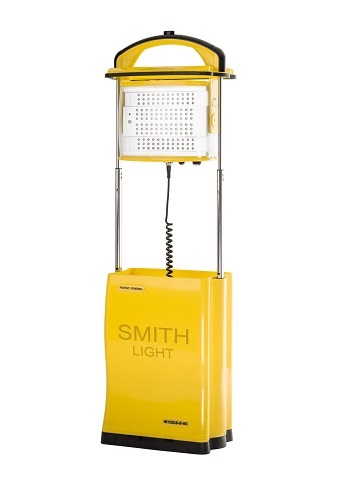 While the Light is being charged and in the stand-by mode the light head will turn on and Flash on and off continuously if there is an interruption to the power supply.